Nothing beats the joy of bringing home your new Miniature Schnauzer puppy. But are you prepared? Do you have everything ready to welcome home your new furry family member? 1. 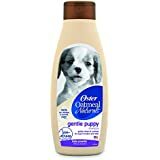 Dry Puppy Kibble – Buy a small bag of the same brand your Miniature Schnauzer breeder or rescue shelter was using. 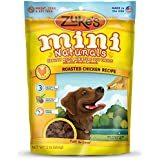 If you want to use another dog food brand – you will need to get that as well, and then slowly introduce it into your Miniature Schnauzer's diet. 2. Food Dish & Water Bowls – I recommend you purchasing no slip, no tip dog bowls. They come in stainless steal, ceramic, & plastic. Also, don’t buy anything that’s too deep. More shallow type bowls work best for little puppies. 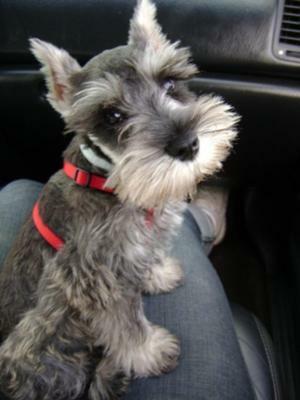 puppy dog tip: Get in the habit of cleaning your Miniature Schnauzer's bowls daily. This prevents bacteria from forming! 3. Pet Placemat – You will be glad you purchased a doggy placemat after a few spills occur. And they will - cuz puppies are a little clumsy ya know! 4. 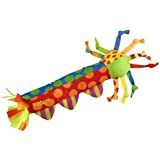 Dog Toys & Chews – and lots of them! Why so many, you ask? I have found that if you offer your Miniature Schnauzer lots of mental stimulation and dog toys of different textures and sounds, they will spend more time playing and chewing with them instead of things they shouldn’t – like your shoes or couch. So, get dog rope toys (great for playing tug-of-war soft plush toys with squeakers inside; dental toys & chews for teething, etc. puppy dog tip: Make sure your puppy's toys are not too small or have any parts that can easily detach and become potentially harmful to your new Miniature Schnauzer puppy. 5. Dog Treats – Its best to use puppy kibble or a natural organic dog treat. This will keep the junk food out of your puppy’s diet. 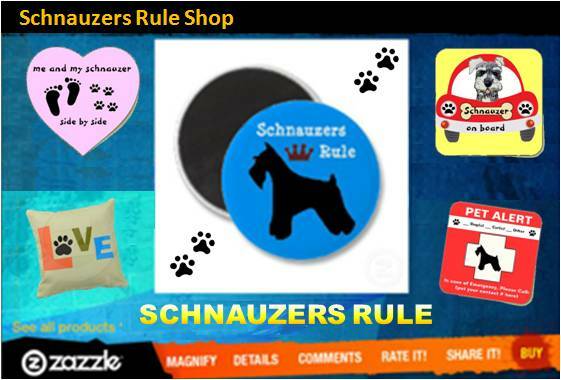 But if you decide to give your Miniature Schnauzer store bought dog treats – allow your puppy to have no more than five percent of their total daily nutrient intake. 6. 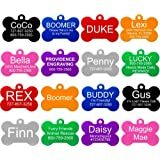 Pet ID tag – Buy a personalized pet ID tag with your contact info – just in case the unthinkable happens. 7. Wire Crate – A folding dog crate works great for housing and for transporting your new puppy. Also get a cushion or crate pad for comfort! 8 & 9. Dog Collar & Leash – There are lots of choices here. 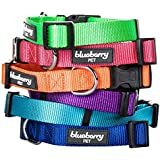 My suggestion, buy an adjustable dog collar so it can be altered to properly fit your growing puppy. Be sure and read about dog collar safety and consider buying a break-away collar. 10. Baby Gate - A good exercise dog pen that can be used both indoors or outside to create a confined and safe play area for your Miniature Schnauzer puppy is nice to have. puppy dog tip: Choose a doggy pen or sectional where you can detach the panels or sections and use them as room dividers. 11. 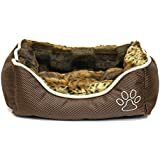 Dog Bed – Every pup needs to have a soft cozy dog bed to take a snooze. 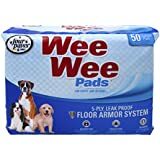 Pee Stain & Odor remover (accidents do happen); housebreaking pee pads; poop pick-up bags, and puppy bath wipes. 13. 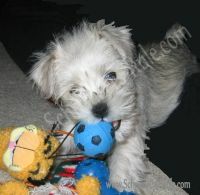 Dog Grooming Needs – Be prepared to groom your new Miniature Schnauzer puppy. Go ahead and buy some basics: puppy shampoo(tearless is best), nail clippers, nail file, toothbrush, and a grooming brush with soft bristles. 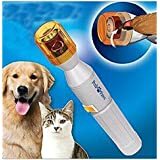 And you might want to buy a Pet Clipper Kit to help make your dog's grooming sessions a breeze. 14 & 15. Seasonal Dog Items Sweater & Pool – If you are purchasing your new Miniature Schnauzer puppy in the Spring or Summer – go ahead a buy a plastic kiddie pool. This will offer lots of outdoor fun and enjoyment for both you and your new puppy. If you are bringing your new puppy home during the Fall or Winter months – a soft acrylic dog sweater will be perfect to help keep your adorable Miniature Schnauzer puppy warm - especially on those super cold morning walks! 1. Set an appointment with your Vet: Your new puppy needs a thorough exam and vaccination. Have a list of questions prepared to ask your Veterinarian. Ask him any and all questions you may have about feeding your Miniature Schnauzer puppy, Schnauzer health concerns, flea control, micro chip ID implants, etc.. Now’s the time to start building a good relationship with your Vet. It's also a good time to consider pet insurance. 2. Puppy proof your home: In order to puppy proof your home you should get on ground level – yep all fours – this way you can see all the tempting things your new Miniature Schnauzer puppy will want to explore. Are there houseplants that can be tipped over or worse yet, are your houseplants toxic to dogs? Exposed extension cords? Shoes or other items lying around he might want to chew on? 3. Time, Patience and a Sense of Humor: Puppies are not born knowing what to do – they have to learn. This takes time. They will also make mistakes and have accidents. So you will need patience. And take it all in stride. So have a good sense of humor. puppy dog tip: Remember, the time you invest in your new Miniature Schnauzer puppy now will pay off BIG TIME in the future.